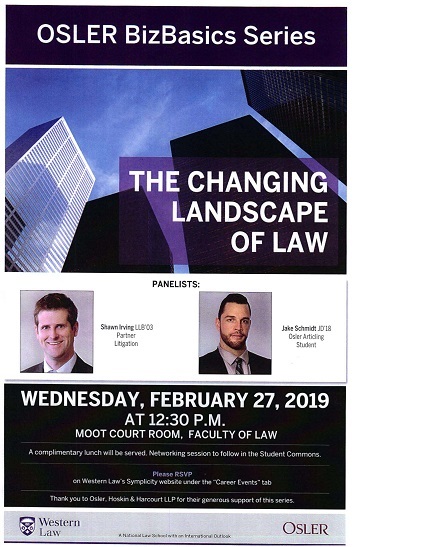 Osler BizBasics - "The Changing Landscape of Law"
If you have any interest in how legal practice is changing in light of current challenges (such as the billable hour, etc), this event should be very interesting to you. 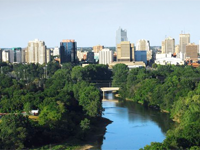 RSVP on Western's Law Symplicity under "Career Events" tab. A light lunch will be provided and a networking session with the lawyers taking part in the panel will take place after the event in the upper level student lounge - all are welcome to attend. Thank you to Osler, Hoskin & Harcourt LLP for their generous support of this series.